Play with only the 11 best players on the team at all times may sound tempting, but certainly not the best option. With the game, the players get tired and lose breath, causing poor performance. To make sure that your team will continue in good form in the final stage, be sure to replace the more tired team players. Most teams have good options in reserve. Even if you are experienced in the world of virtual football, be sure to play a few rounds on lower difficulties in PES 2016. The game has undergone many changes since version 2015, and requires some adaptation to be dominated by players. Set the normal level and play for a few minutes until you feel you're used to the movement and pace of play. Only then is suitable to venture into the online mode of the game, in which battles promise to be much more difficult. 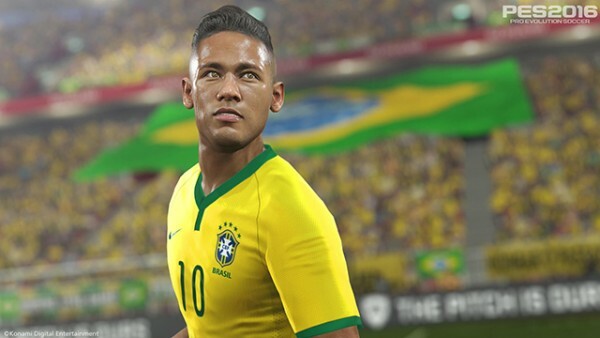 Especially when compared to rival FIFA, PES 2016 has complex system of dribbling, which requires more careful and slow movements of the players so that strategies are successfully executed. Before attempting cycling and scooters in the opponent goalkeeper, visit the training mode and invest some time mastering the timing and commands of feints. This will be useful in time to get rid of a marker during matches. The defense sector is one of the most important parts of any football team, and PES 2016 the story is no different. To ensure good wins, you must know close the boom and avoid the attacks of the opponents. A good tip is to always try to control the defender manually and avoid just hold the X / A button (PS, Xbox). So it will be hard to be dodged, and you can predict more efficiently the opponent's moves. Careful use of carts and advance the goal is also crucial. Forget that story to hold the run button all match long. In addition to all the players get tired quickly, they will have serious difficulties to drive the ball in more populated areas of the field, and will be easy prey for experienced dribblers. Use the pike athletes with intelligence, both in attack and in defense. So you will have a more organized and rested team, and lose less balls and scoring opportunities. As in previous versions of Pro Evolution Soccer, the kicks are still quite powerful and accurate. Nevertheless, it is not recommended to try to follow the trimming from distance. The problem is that goalkeepers are also quick and clever, and almost never lead to goals very logos kicks. Instead, try to approach the area and use the attached submission (R2 / RT) to move the archer. Much more than the simple design that defines the placement of field athletes, the training can work wonders when used intelligently and appropriately to the player's style. After a few rounds, try to assess what will be your main strategies of attack and defense, formations and try to value this type of game. This way, you will have easy access to favorite players, and specific protection for the weak points. Although very traditional, PES 2016 control scheme cannot please all players. If this happens, simply edit the functions of each custom button. Another interesting suggestion is to enable or disable the assists, according to need. It can, for example, make the strength and accuracy of fully automatic passes, or turn off any help from the game and quit manual.